Prime Location!! Exceptional offering in Tidewater Colony - Gorgeous 4BR/3.5BA with gleaming hardwood floors throughout main level, updated kitchen with sparkling granite countertops & SS appliances, large open floor plan w/ Gas Fireplace, & 2-Story Master Suite w/ above Office & Spa-like bath. Finished LL boasts additional BR/Studio w/ private entrance. Deck for entertaining! Comm Amenities. 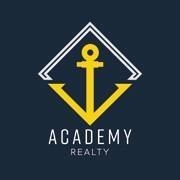 I am interested in 607 Captain John Brice Way, Annapolis, MD 21401.